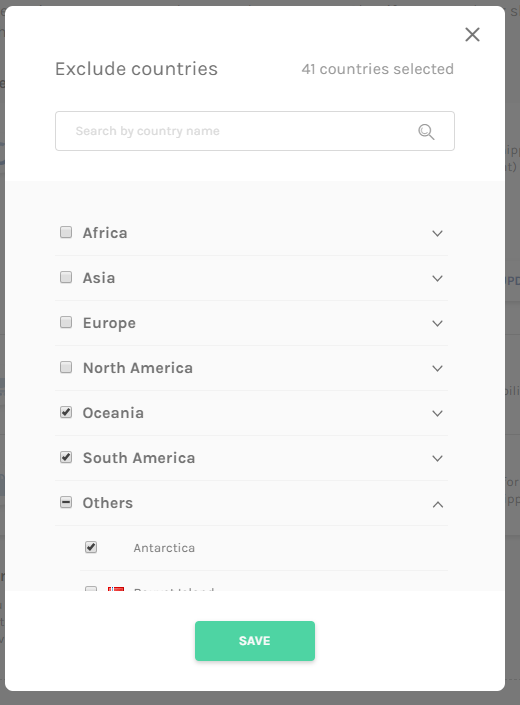 You are able to exclude certain countries or regions from being automatically synced to Easyship from your store. 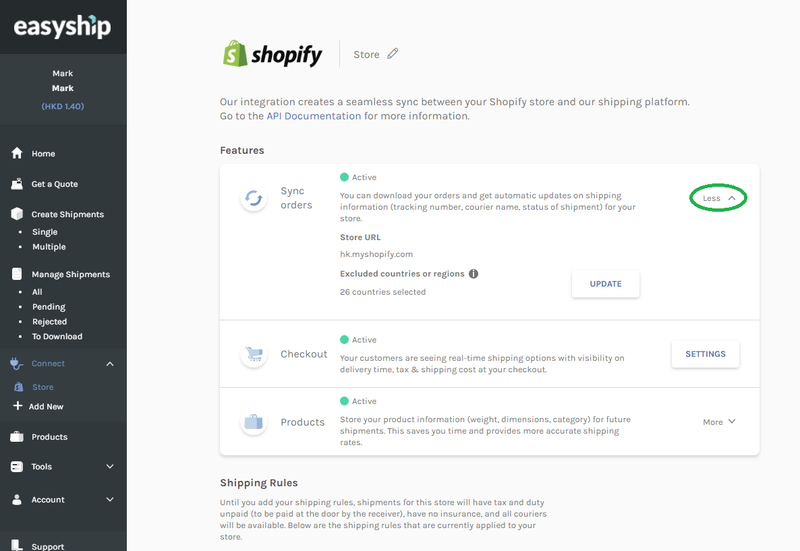 In the Easyship platform, go to "Connect", and then to the store of your choice. In the Sync Orders feature, you can press "More" which is circled in the image below. If you then press "Update" you can select which countries you want to EXCLUDE from being synchronized to Easyship. Now, orders from these countries will no´longer be synced to your Easyship account.